This week’s roundup of iOS apps will help you read a little better, play a little harder, and look to the skies. 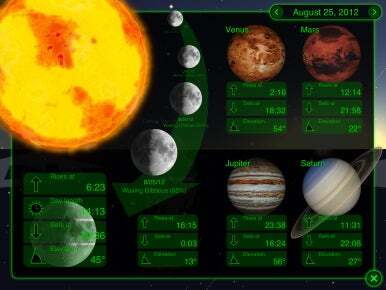 StarWalk has been overhauled with new graphics. See below. Already this week, we brought you roundups of the best spy games and political convention converage apps, and we also let you know about the arrival of apps from Audiobooks.com. Activision Anthology: Most weeks, we end up telling you about retro-style games that didn’t exist in the 1980s, but were built to look like they were. No fake-outs here: The free Activision Anthology game for iPhone and iPad reproduces games from the company’s Reagan-era golden age. It comes with the classic Kaboom! game for free—after that, you can pay $7 for access to all 45 titles in this app’s game collection, or $3 for your choice of 11 games. Over time, that’ll still be cheaper than the quarter-per-game you’d pay at the arcade. AliveECG Vet shows that iOS is even transforming the veterinarian's practice. 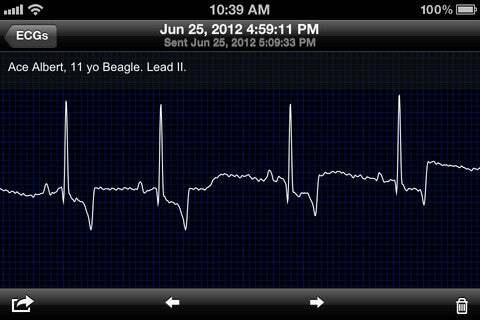 AliveECG Vet: Some app developers have it ruff. Yes, the iOS platform can do a lot of things, but we still would’ve said there’s meow way you’d use your iPhone or iPad to check a pet’s heartbeat. But that’s exactly what the AliveECG Vet app does. This may not be the kind of app you’d use at home—it appears designed for veterinarians, and requires the purchase of a $200 heart monitor to relay medical information to the doctor’s phone or tablet. The good news? The monitor is unobtrusive enough to require no shaving “in a majority of cases.” Fido will howl with joy. 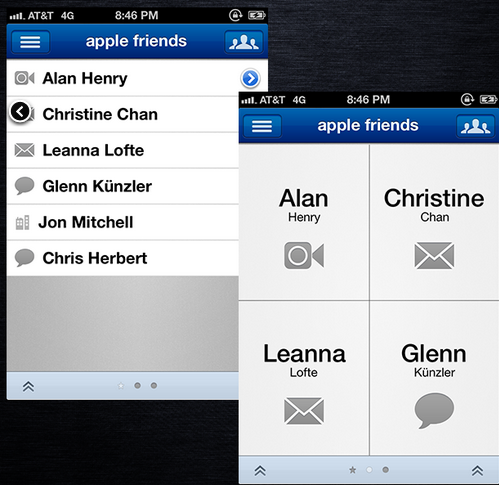 Buzz Contacts makes it easier to communicate with groups from your iPhone. Buzz Contacts: We gave this $1 iPhone app a four-mouse review earlier this year, praising it for taking basic phone functions—mail and texting, in particular—and doing them better. Now the app has been completely overhauled, with new themes that let users customize its look. Moreover, it offers users more ways to organize their contacts list, with new “frequent” and “outgoing” folders; the app also features improved gesture controls, allowing the user to swipe away from a contacts list straight to the phone dial. The app makes it easy to send bulk emails and texts—and not just to individuals—directly from your iPhone. Kindle: The changes to this free e-book reading app from Amazon have a distinct back-to-school whiff. Yes, the app now allows readers to more easily adjust the margins of their digital tomes, but the biggest difference is in how the app treats “print replica” textbooks—letting users highlight photos, illustrations, and charts, and including a notebook that lets you tag and filter your annotations within the texbook. (Textbooks also now have page thumbnail navigation to let users jump back and forth with ease.) The highlighting function is also faster and easier to use, and users also have better control of the screen’s brightness. Maybe that, in turn, will help your student control their own brightness. SkyView also received an update. Star Walk/SkyView: With all the recent attention paid to the Mars Curiosity lander and the death of Neil Armstrong, interest in the skies seems to have taken off of late. Two beloved apps have received timely updates to take advantage of that interest. 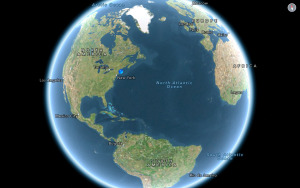 The $3 Star Walk app for iPhone, which gives users a point-and-look augmented-reality tour of the heavens has been revamped with new visual effects and new sharing functions. 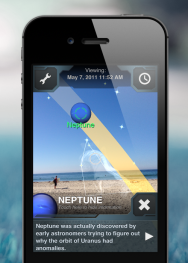 The $2 SkyView app is newly universal, running on both iPhone and iPad for the first time; it has added thousands of new stars and other space objects to its library, giving users a deeper and wider base of knowledge to explore. WeatherCaster: The recent trend in weather apps—and there are lots of weather apps—has been toward minimization: Monochromatic displays with just a few pieces of information to help you decide whether to tote that umbrella to work. The free WeatherCaster app for iPad goes in the opposite direction, raining down information on amateur weather-watchers. It offers hourly conditions, seven-day forecasts, video updates from local forecasters, air quality reports, and even an almanac of historic highs and lows for the day. It will blow you away! Well: These days, even your to-do list is socially networked. Well, a free iPhone app, isn’t exactly a getting-things-done offering—instead, it’s more like a wish list of things you’d like to do, with contributions from your friends, somewhat like Google Schemer. The app lets you create lists of things you’d like to do—whether it’s movies you’d like to see and road trips you’d like to make—and lets your friends on Twitter or Facebook weigh in with suggestions. It’s a way to crowdsource your goals, only by bringing your own crowd. Other apps of note: CNN for iPad has been updated with new navigation and election-related content ... ESPN’s ScoreCenter and College Football apps have both been spruced up … and Dolphin Browser has been revamped with improved tab management. There's nothing wrong with Apple's native Contacts app. But if you're in business, have a large family, communicate with a lot of people, or do that communication in a lot of ways, Buzz Contacts is the far superior choice.